We built in shortcuts so you can create and edit content efficiently. Press the ? on your keyboard while you are inside of a mural. 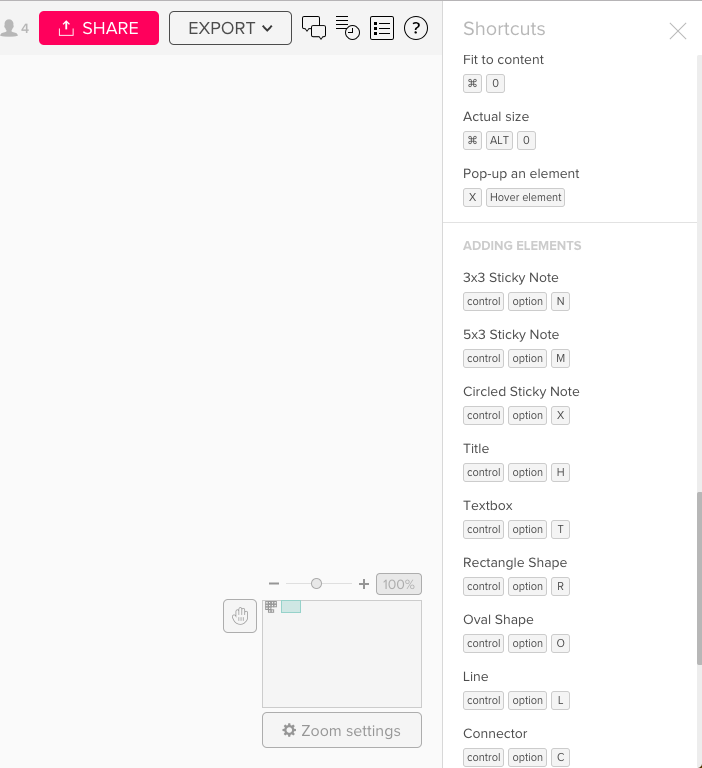 Now you can impress everyone with how quickly you can navigate and edit content in MURAL!